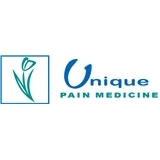 Unique Pain Medicine (Brooklyn) - Book Appointment Online! I liked the doctor and staff. He explained everything about my condition, why it occurred, and the treatment. My back pain is finally gone, I feel so much better! If you got pain, go here. Fantastic - everyone was so nice, the doctors were attentive, and I actually left pain free for the first time in almost 3 months! So thankful for this practice.